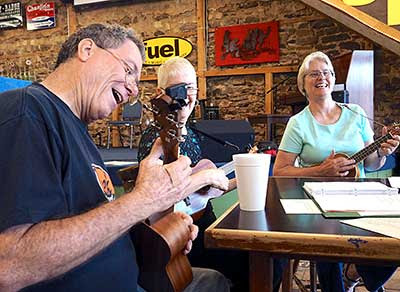 We had a fine first meeting of the Club, at FUEL Coffeehouse in Llano, TX. 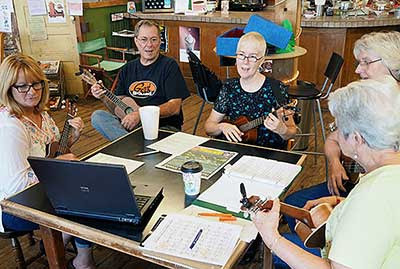 We made our introductions and recounted a little of what brought us to learn and play ukulele. Then we went on to sing and play a few easy songs and got even more motivated to practice at home. Our experience ranges from advanced to very beginner and everyone was enthused, kind and helpful. Daniel Clifton, editor of the Picayune Daily Trib, came by to interview us and take pictures. Article here.